When it comes to standard label construction, the bottom layer is usually the adhesive. However, that does not mean it is the only way to design a label. 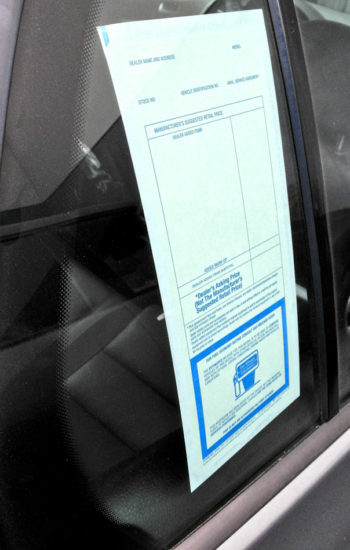 For example, car dealerships and places that require parking permits often use custom window labels that are applied to the inside of cars. So how do these labels work? Labels that adhere to the inside of car windows are designed so that the adhesive is on top of the artwork rather than underneath the material. Therefore, someone looking into the car can clearly read the printed information, and the label is protected from unwarranted removal or damage from the elements. In addition to the construction, we also offer a variety of Variable Data Printing options with the capabilities of our Durst. Permits and other labels can then be printed with consecutive numbers, letters, colors, etc.